Approximately 10 million people over age fifty are caring for elderly parents in the US. As our parents age, their needs and circumstances change and become more complicated; the same is true for your relationship with your parents and other family members. Caregiving is an often rewarding way to repay your parents for the care they provided when you were growing up, but it also presents unique challenges. Adult children typically become caregivers for their parents either gradually or all at once. As your parents get older, you may start taking on additional tasks like yard work and some cleaning. Over time, as new issues arise and their needs gradually increase, you may start stepping in to help more and more with driving them to doctors’ appointments, managing their finances, and helping them bathe and dress. 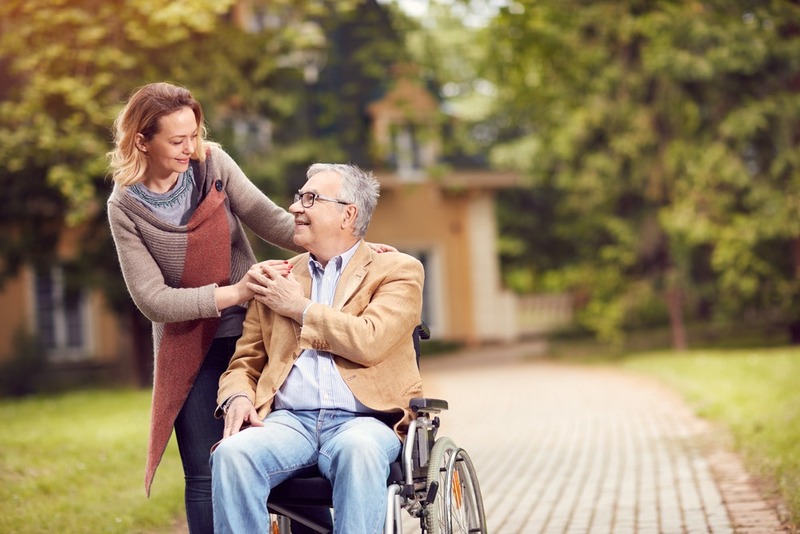 As you step up to these new responsibilities one by one, potentially cutting back your hours at work or leaving your job altogether, you may ultimately take on the role of a primary or full-time caregiver for your parents without quite realizing it. For others, your parents may be fairly independent until a sudden and severe decline in their health like a stroke. In this case, you may be thrown suddenly into all of the responsibilities of caring for a sick and aging parent at the same time. In either case, it’s important to care for your parents, your relationships with your other family members, and yourself. 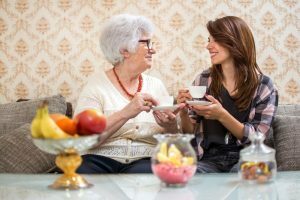 If you’re not an only child, or if you have other healthy relatives living nearby, you and your siblings will need to delegate the responsibilities of caring for your parents. Often, though not always, one sibling becomes the main caregiver with some support from the others. This situation can bring up family dynamics from your childhood and lead people to fall into their old roles within the family, so you each default to being “the rebellious one,” “the helpful one,” “the quiet one,” etc. These dynamics, as well as old conflicts which may reappear, can get in the way of doing what’s best for your parents and each other. Experts recommend that you make these decisions carefully and really consider who is best suited to the tasks in terms of distance, financial resources, employment, and having a family of your own, as well as your skills and your own emotional abilities and needs. Being direct and intentional about keeping these conflicts at bay will help reduce stress for all of you involved, as conflicts among siblings about their parents’ care are one of the major stressors for adult children caring for their parents. Even if you become the primary caregiver for your parents, your siblings still can and should take on some of the work. This can include one-time tasks like stepping in to look after your parents for a night or a weekend so you can take some time to yourself. However, it is often really helpful for you to delegate some specific long-term roles to other siblings and/or relatives that they can incorporate into the rest of their obligations and schedules. For example, one sibling could manage your parents’ finances and keep track of bills, especially for healthcare, or could pick up groceries once a week. Even siblings who live far away can potentially provide financial support and regular phone or video calls. Communication is by far the most important aspect of maintaining a system of support and care for your parents. Make sure each person knows their role and responsibilities, and make sure that the primary caregiver is able to clearly ask for help when they need it. Making sure everyone is informed and up-to-date on your parents’ medical condition will prevent conflict and confusion. Ensuring that everyone involved has a clear idea of the situation will help them understand and execute his or her roles and help them understand and respect what the primary caregiver is doing and what he or she may need. It’s also important for all siblings to take a role in the emotional aspects of elder care. Making frequent visits, if possible, or phone or video calls will help your parents feel connected and will make sure the primary caregiver isn’t also your parents’ sole emotional support. When you become a caregiver for your parent, your relationship changes significantly. Both of you will be experiencing a role reversal as you assume the work, responsibility, and sometimes decision-making power over your parent while they adjust to being the person being taken care of. It’s important to acknowledge this major change and understand how it affects you emotionally. Aging parents can especially struggle with losing their autonomy, so it’s important to keep them engaged and empowered in decisions about their care if at all possible. Asking them for advice about something in your own life can help affirm that their input matters and that you still recognize them as someone with knowledge and a sense of authority. 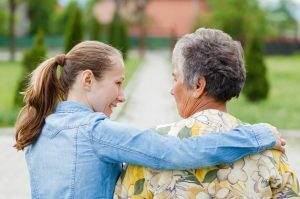 Caring for an aging parent can take an emotional toll, especially if you are their primary caregiver. Studies have shown that caregivers tend to have higher levels of anxiety and depression. This can lead caregivers to experience burnout, where they no longer have the emotional and mental resources to manage their parents’ care. When you are truly burned out as a caregiver, you can feel helpless or hopeless about your situation, angry, irritated, or resentful towards your parents, and feel that while your life seems to revolve around your parents, you don’t gain any sense of satisfaction from taking care of them. You also become physically exhausted and often have a weakened immune system from lack of sleep and inadequate nutrition as you neglect your own health to take care of theirs. Before you get to the point of burnout, it’s important to recognize your needs and limitations and to manage your emotions around caregiving in a healthy way. Taking breaks and doing even small things for yourself, like getting a manicure, taking a nap, or going to a movie, will help you keep from getting too absorbed in caregiving. Taking a break to get out of the house in some way will give you physical and emotional space from your responsibilities. This can be especially true for people who become caregivers gradually, as they may start to give up on activities and relationships to take on additional responsibilities. It’s also important to maintain your own relationships by making time for your friends and your partner. If it’s difficult for you to take time away from your parents entirely, you could invite friends over for coffee or dinner. You can also try having a date-night dinner with just your partner. This shows the people in your life that you care about them, and helps you stay connected supported. Caring for your parents is an important role that presents unique challenges. As you look after them, it’s also important to have a plan and take care of yourself.